We saw Number 1 Poultry in London last summer while walking through the Financial District on our way to the London Bridge and the Borough Market. I was immediately struck by the postmodern architecture and the unique shape of the building. The shape evokes a strong submarine / naval theme and when combined with stripes the building is quite singular. Only now as I sit down to write about this photo did I discover its interesting history. 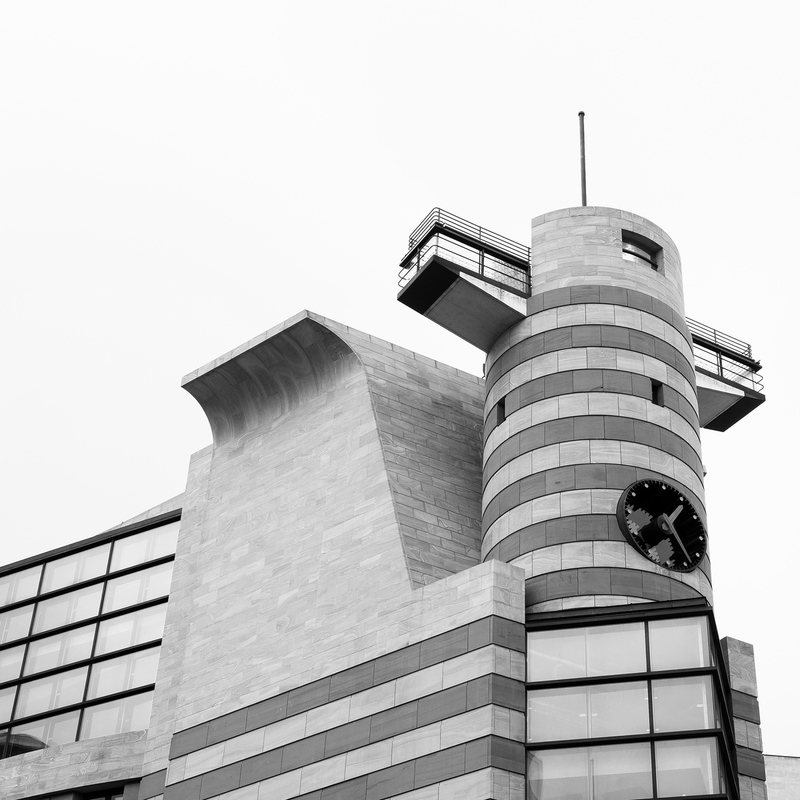 It was designed by James Stirling in the 1960’s and construction was completed in the late 1990’s. Its history is fraught with contention and following numerous proposals to alter the building it became the youngest listed building in England to block further attempts at modification. For my part I find it fantastic. This image was taken handheld on May 31th 2018 in London, England using the Fuji X-T10 and the Fuji 18–55mm lens at 28mm, 1/500s, f/6.4, and ISO 200. Editing was performed in Lightroom, with conversion to black and white, adjustments to contract, white point, clarity, and sharpening.